The DFR20 & DFR200 are ideal for dispensing high viscosity fluids up to 1 million cps directly from either 5 gallon pail (20 liters) or 55 gallon (200 liters) drums with the activator fed from a stainless steel tank. They can also be configured with a second 5 gallon or 55 gallon pail pump. 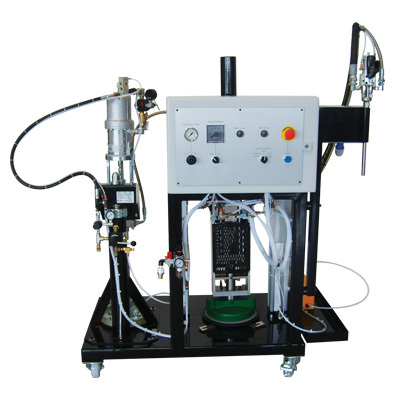 The base model is configured using piston pump technology which is designed for repeatable, accurate dispensing.